Thanks for stopping by to find out a little about who I am, I hope this page gives a bit of a feel for that, but more importantly I can’t wait to find out more about you and how we can create some special memories for your family, if you would like to have a chat about that please get in touch. 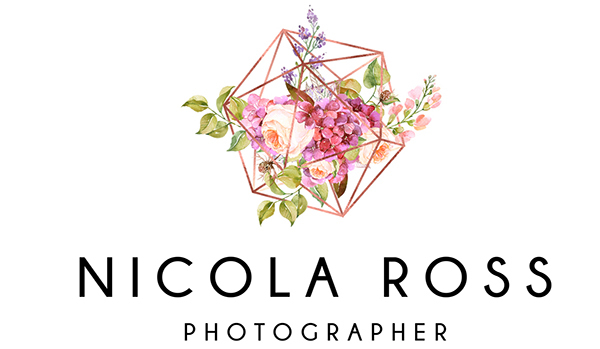 Hi, I'm Nicola, an over-excitable, tangent-taking, emotion chasing, detail-hungry, family and wedding photographer based in Bangor in Northern Ireland. I live with my inappropriately humorous, ever-supportive husband, Chris and our two crazies Ems & Pip who keep life interesting and bursting at the seams with their infectious mischief and wonderment. It goes without saying that all the fun happens in the midst of our everyday chaos; sharing life with the most accident-prone kiddos ever to exist.... you can generally find me with a camera in one hand and a pack of unicorn plasters in the other! I love that my job allows me the privilege of becoming an adopted member of your family for the day. These moments allow me to have a glimpse at what makes your heart happy, whether that be the excitement and beauty of a wedding day, or taking a moment to savor the perfection and newness of your latest family addition. Even the simple pleasures of a lazy family Saturday can become the stuff of legend. But really, it all comes down to making joy-filled memories that you will always cherish, and did I mention, I love that! I love stepping into people's worlds with my camera in my hand and reminding them of just how special they are. I love creating space to enjoy the silly moments and the beauty of the seemingly small in-between moments that leave all too quickly, yet speak so much more of who we are than any posed photograph ever will. Let's capture how well you love one another, let's record the beauty of your connections, let's cherish the crazy wide-eyed moments, the beauty within the quiet moments, and the best of all our rawness. Let's celebrate it all, and tell stories of a life well spent. With a relaxed natural approach, my hope and desire is to produce images that you have a real connection with. Opening a little window in time that tells some of your story and will forever bring you straight back to that very moment. I am based in the Bangor area of Northern Ireland and I am happy to travel across this beautiful country we live in, to chase the sun before it sets in whichever corner you live. If you are interested in having a chat about capturing an elopement or a destination wedding, I would love to speak with you about new adventures further afield.